These free shadow matching printables are perfect for toddlers and preschoolers who love animals! Featuring a farm, a zoo animal train, a pet shop, and a forest/woodland animal themes. 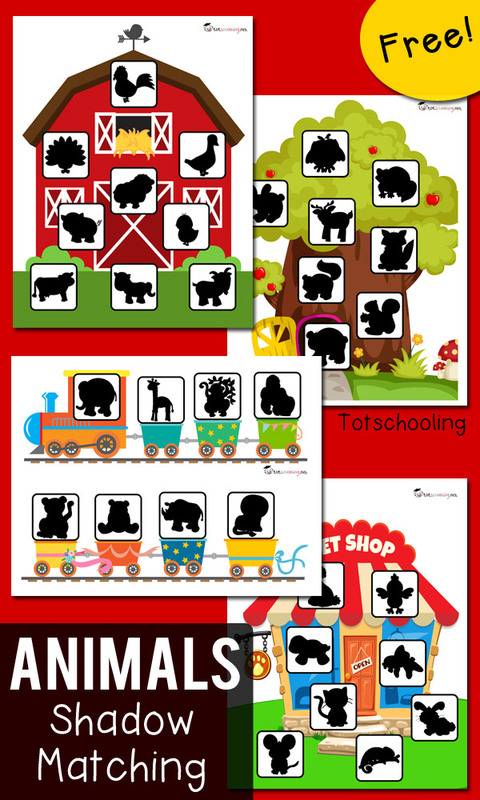 This FREE shadow matching pack will get your tots and preschool kids matching animals to their shadows. This is great for visual discrimination practice, as well as vocabulary building! I recommend that you laminate and use these transparent velcro dots for kids to stick the animal pieces over the shadows. 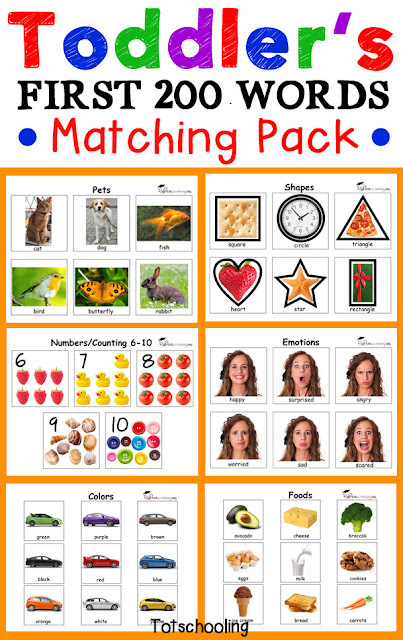 If you liked this activity you will LOVE our Toddler Matching Pack! Hello, thanks for this activity! My kids and I are learning all about animals right now. I wanted to download the resource but when clicking on the link it says I need to request permission to access the document. Am I skipping a step? Hi, I'm sorry you are having trouble. The files are hosted on Google Drive, and this causes problems for a few people if they are not signed into a Google/Gmail account. If you email me at [email protected] I can email you the PDF file. It is just me, or are these printables not showing up correctly? I am only seeing one shadow on each page. Are the children supposed to match the shadows with the animals? Or just match the animals to their correct homes? Thank you! Hi Bekki, yes the kids are supposed to match the animals to their shadows. I'm not sure why you are not seeing all the shadows. I recommend using the browser Google Chrome and saving the file to your computer before printing. Your post is great and very interesting, thank you the post. Thank you a lot!! !It's so usefull!!! I was ready to make it by myself, but have found yours!!! Great!!! Thank you!! !